is the expectant mom’s best friend. By providing support to growing mid-section, the rest-weary woman will finally be able to get the precious rest she needs. 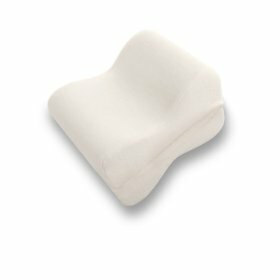 Crafted from dense yet comfy foam, the Boppy Pregnancy Wedge provides support to an expanding belly. 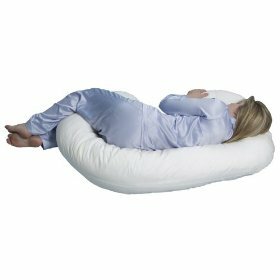 When sleeping in the left side-sleeping position, which is recommended during pregnancy to take pressure off vital organs and arteries, the Boppy is a must-have! 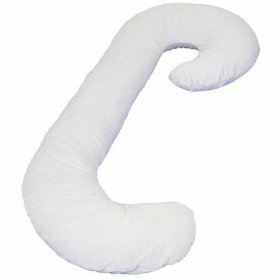 Other users have reported using this pregnancy pillow under the head, for lumbar support along the back, or propping under the knees when reclining. 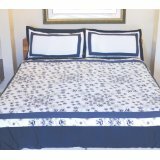 A soft slipcover fashioned from a quality 360 thread-count Pima cotton is provided and can be easily removed and tossed in the washer and dryer. 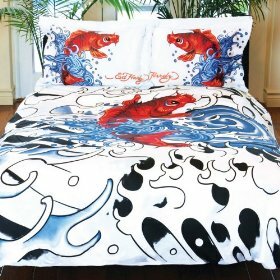 For those with allergies, a standard sized allergy barrier pillowcase can be purchased separately and slipped over the Boppy Pregnancy Wedge. Unlike unwieldy body pillows that end up hogging the whole bed, the Boppy Pregnancy Pillow is a great bed companion and easy to move back and forth for those who switch sleep positions during the night. Some users who prefer a “squishier” pillow have reported that this sleep wedge is a bit too hard for their liking, so keep this in mind. Very economically priced, the Bobby Pregnancy Wedge is worth a try if you are having any trouble at all getting the sleep you need at night. And once the baby is born, it makes a great arm prop when you are sitting down to nurse your little one. 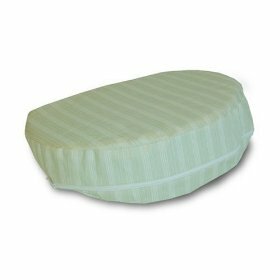 CLICK HERE to buy The Boppy Pregnancy Wedge pillow. 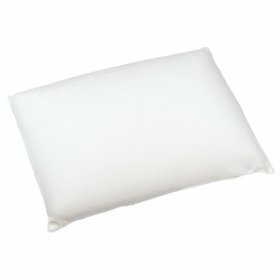 Opinions on the Serta 4-Pound Molded Memory Foam Pillow (standard shape) seem to fluctuate, along with the price, and this item ranks anywhere from 1 to 5 stars. The most constant observation seems to be that this item is firm instead of soft. Most saw this as a positive factor. The amount of support given was a good fit for nearly all those surveyed with only one exception. The positive reviewers understood that 4 pounds means firm, and suggested to others who want a softer one, to go with a lighter version (2-3 pounds). 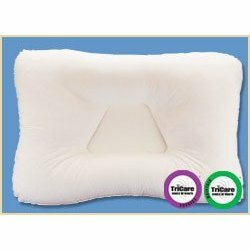 These same reviewers also were satisfied with the level of comfort, and stated that despite the firmness it does not feel as hard as a brick when comparing it to other similar memory pillows. 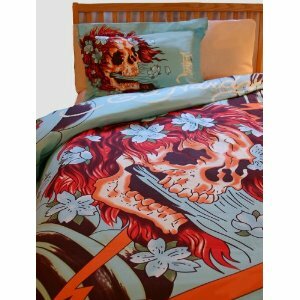 The best comments actually come from reviewers who purchased this item as gifts. One thing the reviewers could agree on is that the new foam smell, which is customary for this type of product, does not linger too long. A couple of people had experience with other support pillows, and preferred this one. Opinions however vary on the support issue. About half of the people said it offers enough support in the head and neck area, while the other half thought it did not. 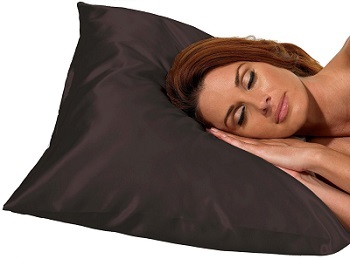 The only negative reviewer expected this pillow to mold around her head and neck, which she said did not and even kept her from enjoying a good night’s rest. However, even with opinions and reviews all over the board, this product still ranks solidly, with a combined average of 4 out of 5 stars. Memory foam responds the individual’s body heat and weight to minimize pressure points and provide additional support. 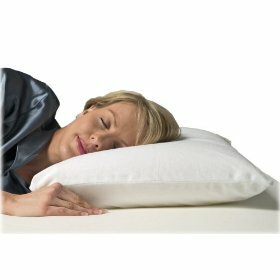 CLICK HERE to buy the Serta 4lb Molded Memory Foam Pillow.